Are you excited for college and completely nervous to live away from home for the first time? You’ve got a scholarship to the college of your dreams, but without a budget, you blow through your money and have to call your parents and beg for money- or take out more loans. In four years, you’re saddled with the burden of re-paying extra student loans you didn’t need in the first place. Think about the sinking feeling of dread that comes with missing an amazing opportunity to connect with someone you admire because your palms get sweaty and your vision blurs just thinking about approaching a stranger. One minute you’re excited and ready for your brand-new life, the next you’re panicking, worrying if you’re ready enough. You are not alone in feeling apprehensive, but that doesn’t make you feel any better. That’s the bad news. The good news is that you can feel more prepared. I know you want to be that girl who walks onto campus with her head held high, feeling confident and ready to take on new challenges. 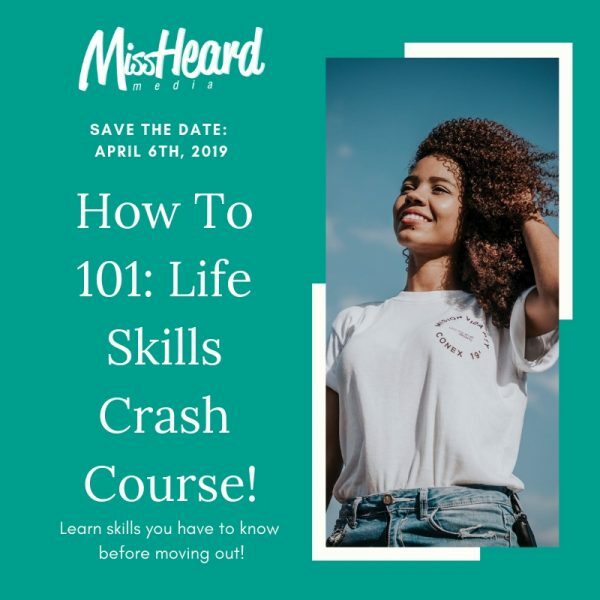 MissHeard Media is hosting How To 101: Life Skills Crash Course on April 6th at Joe’s Movement Emporium from 10a-4p that teaches college-bound teen girls to navigate living away from home for the first time. By the end of our time together, you will leave with a new set of ‘adulting’ skills, a take-home booklet, and increased preparedness and confidence! This event includes lunch, snacks, and small group activities, so space is extremely limited. Are you ready to step into the real world? Questions? Email Lindsey at hello [at] missheardmedia [dot] com or call 407 602-8347. How To 101 is taking place on April 6th, from 10:00 am to 4:00 pm at Joe’s Movement Emporium in Mt. Rainier, Maryland. 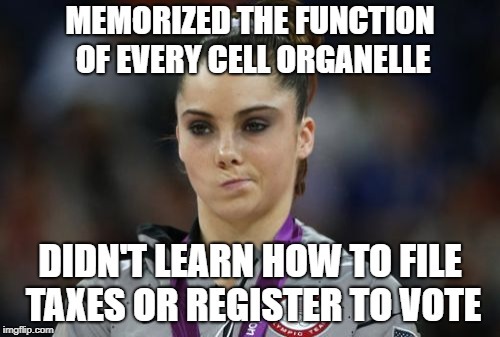 The $97 program fee includes all program materials and instruction, including a take-home booklet and completion certificate, lunch, and snacks. Group rates are available for groups of 5 or more, please contact the organizer. The first ten people to register get and automatic $10 discount. MissHeard Media founder Lindsey Turnbull leads the How To 101: Life Skills Crash Course. Lindsey is a tween/teen girl expert that has been empowering girls for a decade. Earlier this year, she was named a 2018 ’30 Under 30′ Trailblazing Alum by her alma mater. Lindsey holds a Master’s in Public History from the University of Central Florida, as well as bachelor’s degrees in History and Anthropology. She is also CPR/First Aid certified.